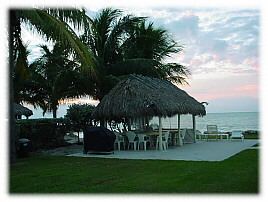 Located in the heart of the Florida Keys world class fishing grounds. Our beautiful sand beach one of the most beautiful in the Keys. 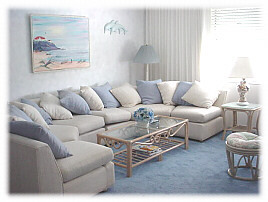 Snorkeling, boating or just relaxing on our beach is most inviting to anyone looking for a great vacation. 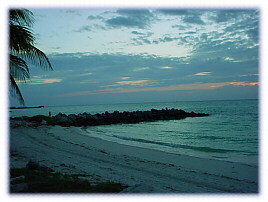 Beautiful Key Colony Beach located in the heart of the Middle Keys. A crib can be provided if needed. 5 miles south of Dolphin Research Center where swimming with dolphins is a daily occurrence. 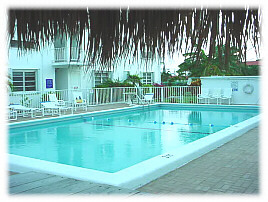 50 Miles north of Key West for wonderful tours and shopping. We are within walking distance of one of the finest restaurants in the area. Shopping for groceries is only a few miles away and within driving distance of many activities your family will enjoy.